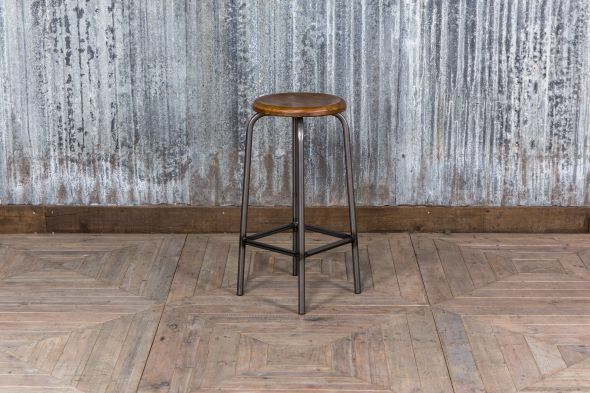 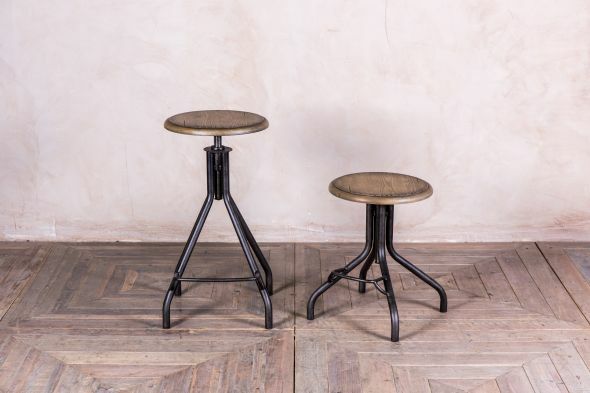 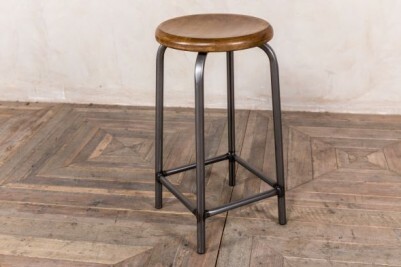 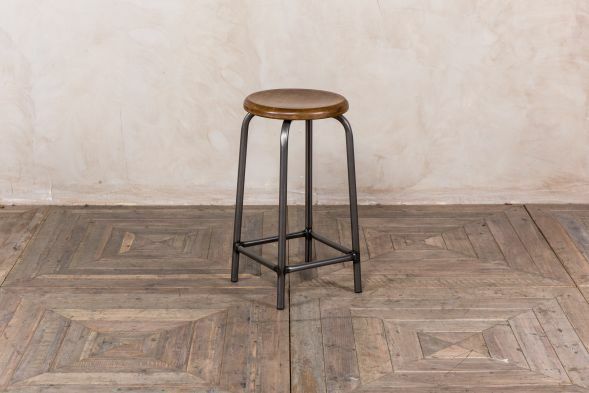 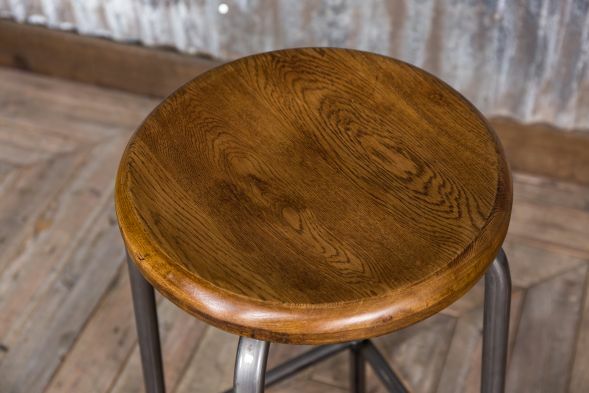 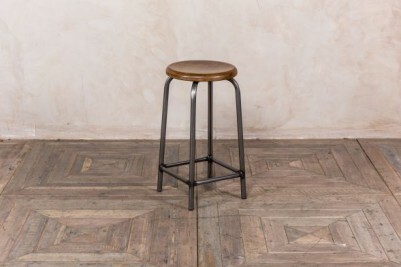 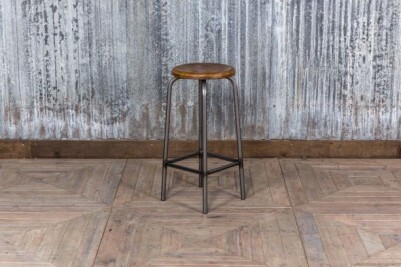 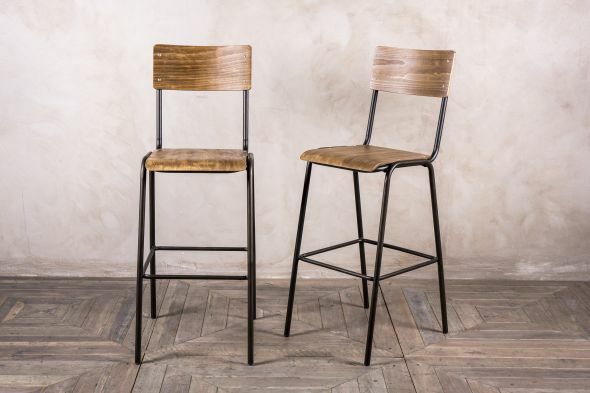 A simple, stylish design ideal for any home or business, this UK-manufactured industrial design bar stool would add vintage charm to any interior. 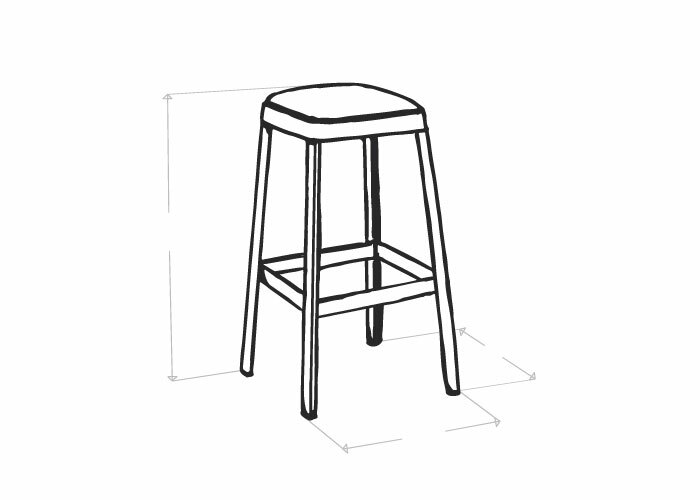 The stool is available in two heights. 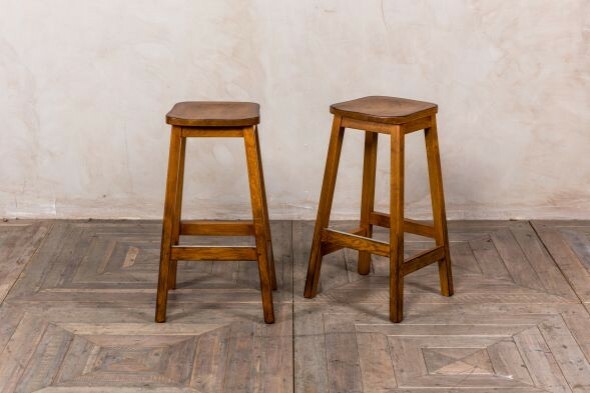 Choose the height that best suits your requirements, whether that is at a kitchen island, or placed in a restaurant. 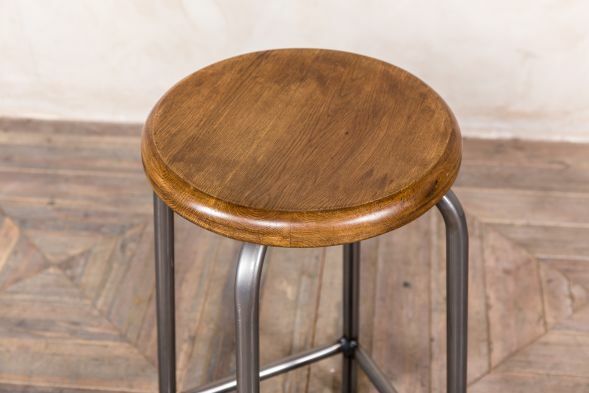 The lower stool is the ideal height for a standard breakfast bar or mid-height bar table. 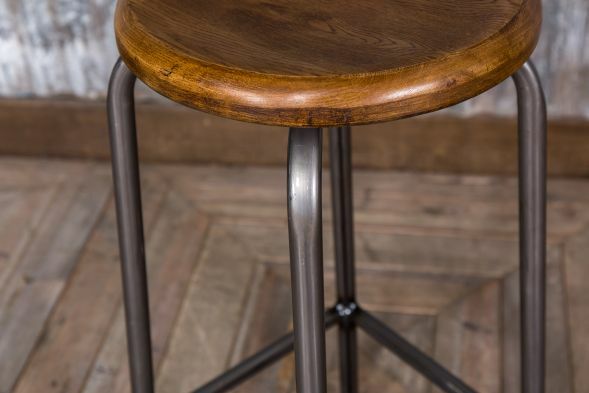 The taller stool works well in bar areas or around poseur tables. 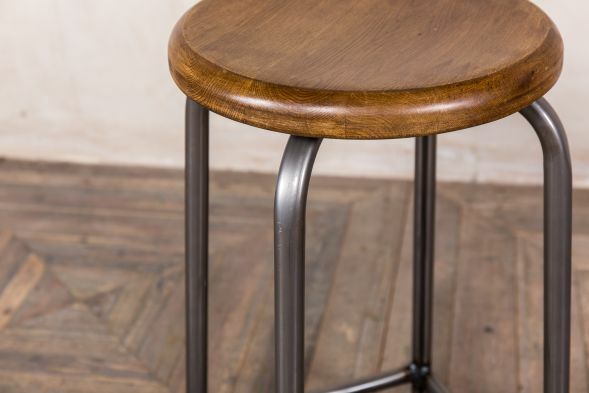 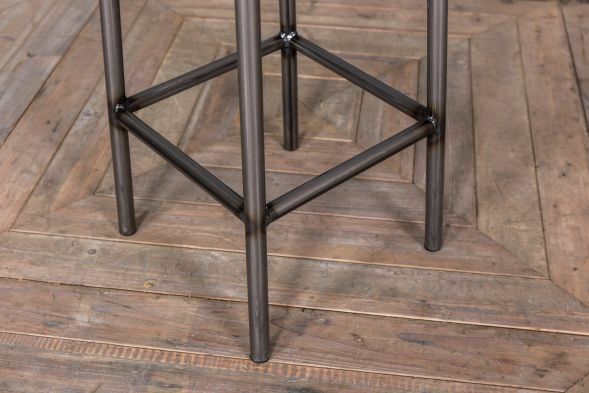 The stool features a machined oak seat and tubular steel base, giving the stool a look that suits vintage inspired or contemporary spaces. Metal footrests provide a comfortable seating position and hidden plastic feet prevent marks to your floor. 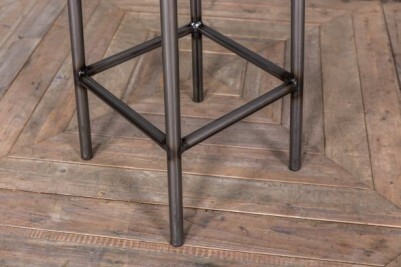 The frame has a clear, powder-coated finish, so that you can see the industrial construction underneath. 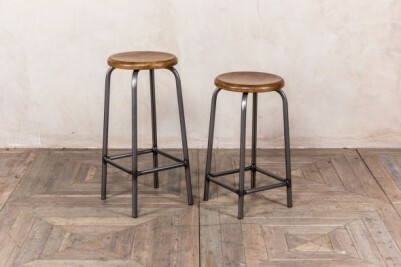 The price is for one stool only, but more can be purchased.